If there is a problem, we can work together to resolve the problem. (It happens). Let us know if our service could be better! The item pictured may not be 100% representative of the item. Goods that are in violation of importation laws are subject to seizure and loss. Small orders are no problem. Model: 1535ARW-400. Joseph Fazzio Inc.
One SPDT Pressure Switch. New in Box. 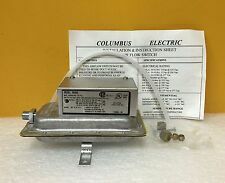 Columbus Electric RH3A9. New in Box Instructions & Accy's. Air Flow Switch. SPDT, Cool / Heat. The Hotstick is an insulated pole used to protect the handler from electric shock. Insulated pole protects user from electric shock. Item 93687. Chicago Electric. U-Ground Connector. Industrial Grade. Feel free to ask! Allow us the honor of serving YOU! Our goal is to accommodate your projects and your lifestyle. We will never hesitate to go above and beyond to assist you, just ask! Quality materials for long lasting durability and quality performance. Tool is made from quality materials for long lasting durability and quality performance. Great for the pro or the do it yourselfer. SMART ELECTRIC SE2727. Our vast inventory encompasses all the areas of the HVAC/R market. There is no gaurantee. Sorry but we do not send "gifts". You may also be interested in. Phone: 866-321-HVAC (Toll Free). Model/Part#: 11408336. Item Type: PDU 32A IN/OUT 3. But when available in multiple quantity, the photo shown is representative of the item. Item Condition: This item is used and appears to be in working order. Make: Okaya. Type: Noise Filter. Works with conventional wet lead-acid batteries as well as gel cell. No handling fees apply on local pickup. Freight may be booked with any carrier, but usually goes out on the best available. SOLD AS IS/WHERE IS. RK Electric Co R-C Network. 0.47 MFD 10%. It does show wear as can be seen in the photos. The interior pages, however, are in nice condition. Make:Yamabishi Electric. Type:Volt Slider 0-100 V 0.5 A. 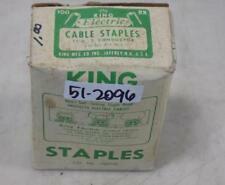 Made by Multi Electric MFG Inc.
Horner Electric (APG) HE693STP111D. Indexing Module. New in Box Manuals. ANGLE ADAPTER. MOUNTING HOLE SPACING: 6-1/2" X 6-1/2". APPROXIMATE WEIGHT: 2.5 LBS. SQUARE SIZE: 7-1/2". 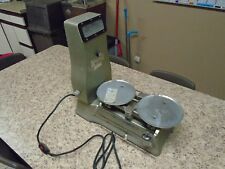 NEW SURPLUS--NOT IN CORRECT BOX--12/18/KS. This was a spare assembly for a meade rectifier, please look at the pictures, it is the actual ithem. HIOS CL-6500 Electric Torque Screwdriver - Tested and working! HIOS CL-6500 Electric Torque Screwdriver - Tested and working!. Trending at $19.11eBay determines this price through a machine learned model of the product's sale prices within the last 90 days. Model/Part #: 710124. Manufacturer: Walther Electric. Type: Female. Availability subject to prior sale. Ask us below! What's Included?. See photos. We try our best to provide full details of each item and any included accessories, but if it's not shown in the photos then it will not be included with the item. .47 MFD 10% 220Ohm Ω 7W RCD5A30. RK Electric Co. RCD-5A-30 RC Network 480VAC.47 MFD 10%. RC Network. R4 S3 Box 11 Front. Eagle Electric Cooper Wiring 3Wire Single Receptacle. Color: Brown. We will work with you. We're here to help in any way we can. You deserve to be treated with 5-Star Service! Allow us the opportunity to correct any mistakes that may have occurred. New Shelf Worn. Missing Box. We are not responsible for any brokerage fees or duties. VIEW ITEM TITLE FOR CONDITION CODE & MATCH BELOW FOR CONDITION. Manufacturer: Walther. Model/Part#: 310. Availability subject to prior sale. What's Included?. See photos. We try our best to provide full details of each item and any included accessories, but if it's not shown in the photos then it will not be included with the item. Unit has "Fail" displayed on it while plugged in because it does not have a sensor connected. Five (5) Hoya H050-15-24-14 Temperature Sensors. 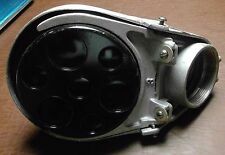 This unit will arrive in the condition shown. A signed credit card authorization form is required for all orders paid with credit card. 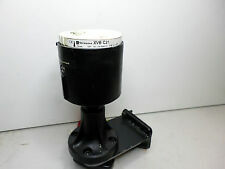 You are buying"ONE BOX of 25" NEW EAGLE ELECTRIC MFG # 1054 Black Bakelite Socket Extensions 660 watt 250 volt. If purchasing more than one box of 25, we will combine them when possible to save on the S&H costs. WITH THE GENERAL EDITOR E MOLLOY EDITOR OF THE "ELECTRICAL ENGINEER". THE SPINE IS TIGHT. IT IS 180 PAGES LONG WITH OVER 100 DIAGRAMS AND PHOTOGRAPHS. Fulta Electric Machinery BN125-303-101. Fulta Electric Machinery Co. 200V 3Ph 1.3/2.0Amp. Squirrel Cage Blower. Unit has been tested and is in good working condition. Boss Films was started by Richard Edlund, the Special Effects Supervisor for these movies, as well as movies like GHOSTBUSTERS. P# L170 Spacer Assembly. 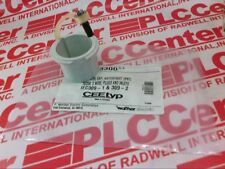 P# 2101 Crown Universal Head. Universal Head. 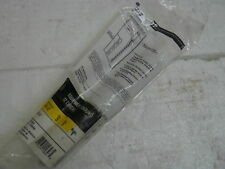 P# L254-3 Sleeves for 2101 Assembly. New ListingVINTAGE HEAVY METAL "FEDERAL" SERVICE SWITCH BOX CASE 7" x 9" x 3"
We do our best to acknowledge and describe any and all flaws or signs of wear. THE PAINTED GRAY FINISH. PRICE DEPENDS ON THE SIZE OF THE ITEM AND WHICH BOX WE CAN FIT IT IN! IMPORTANT NOTE! NOW FOR THE FINE PRINT! 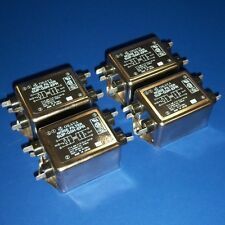 NEW HIROSE ELECTRIC WIRE CONNECTORS (LOT OF 5). Midget Coil Winding Heads. P# 808040 Spool Assembly. Crown Universal Head. P# 2110 Head. TRIPLE RACK WITH CERAMIC INSULATORS. SINGLE CLEVIS WITH INSULATOR. SINGLE BRACKET TYPE CLEVIS WITH INSULATOR. FROM TRUCK CLEAN OUTS AT LARGE ELECTRICAL CO.
HIOS CL4000 CL-4000 Electric Torque Screwdriver - Tested and working!